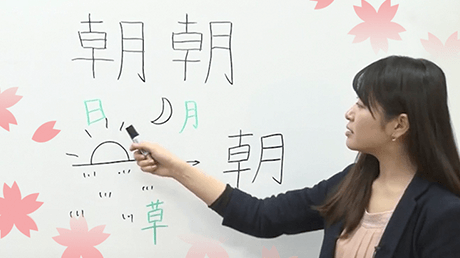 This program is a course for people teaching Japanese. Also, for people with N1 level, it is effective for further understanding the Japanese language. 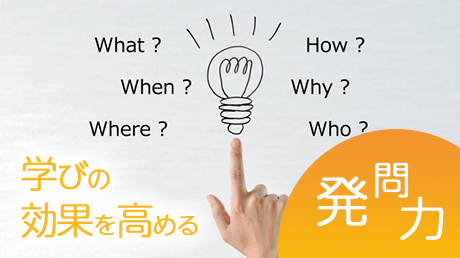 The course is for people who want to acquire Japanese language teacher qualifications. 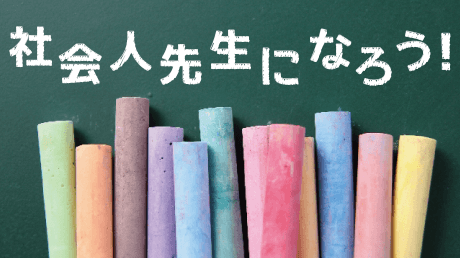 Through studying theories of characteristics of the Japanese language, pronunciation, grammar, linguistics, pedagogy, how to teach business Japanese, etc., you can quickly acquire the skills needed to become a Japanese language teacher. This course is compiled of 10 lessons. Each lesson is divided into three parts. 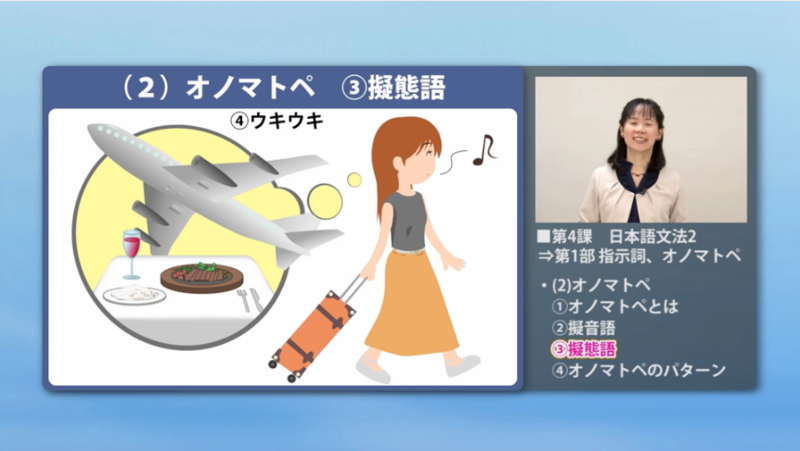 The lesson contents are explained by famous Japanese language teachers including Japanese teaching methods of authority Prof.
Hajime Takamizawa, with commentary when illustrations are shown in the video. Furthermore, a prior learning textbook and supplementary textbook are included and can be utilized for printing for preparation and review. ※The class is taught entirely in Japanese. Foreign learners whose native language is not Japanese must need Japanese proficiency with the equivalent of the JLPT N1. 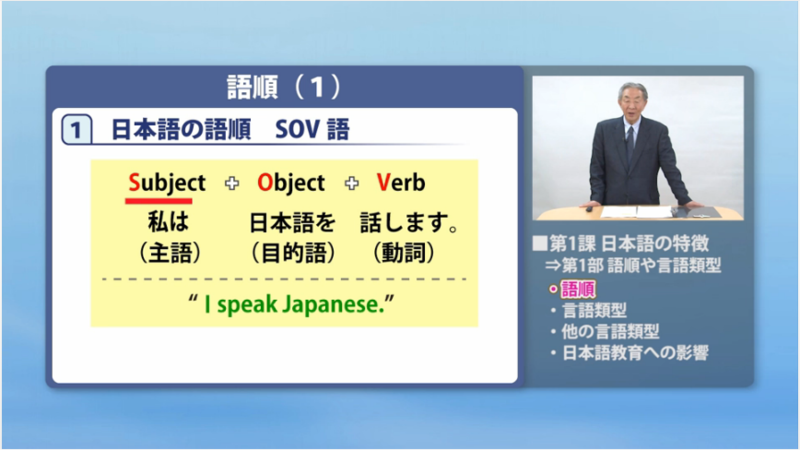 Master“word order and linguistic types”,“context dependency of Japanese” and “characteristics of Japanese”. 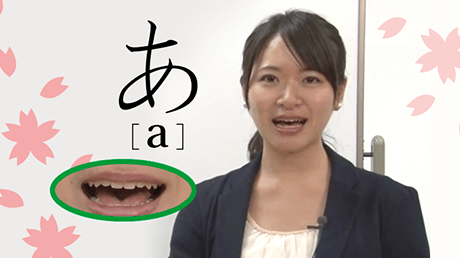 Master “the CV structure – vowels and consonants of the カ row to ザ row”, “the CV structure – consonants of the タrow to ワ row”and“special structures”. Master “demonstrative pronouns and onomatopoeias”, “particles and keigo (honorific expressions)", and “subjects and topics, intransitive and transitive verbs, examples of mistakes by students”. 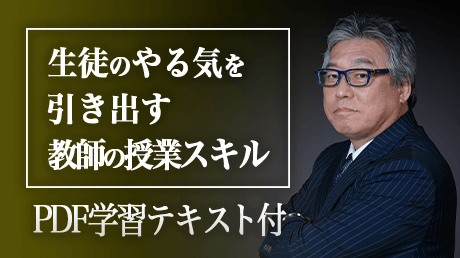 Master“the aim of business Japanese”,“business Japanese learners”, and “the theory of language teaching”. Master “What is communication?”,“verbal and nonverbal communication”,“Cross-culture Communication”. Master “making lesson plans and various teaching methods”. Master“input, interaction and output”,“focus on form”, and “communication behavior in real contact situations”. 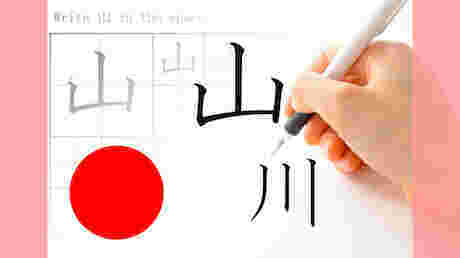 Learn the basic method to teach Japanese Language. Be able to learn theoretical knowledge of Japanese language teacher training from experienced lecturers. 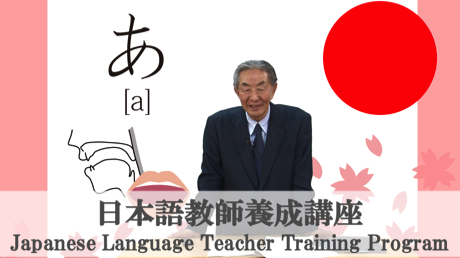 Acquire the qualifications necessary to be a Japanese language teacher. 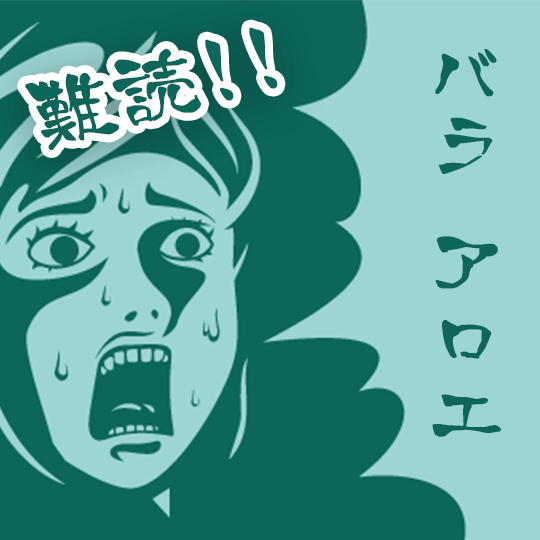 Be prepared for the Japanese Language Teaching Competency Test. 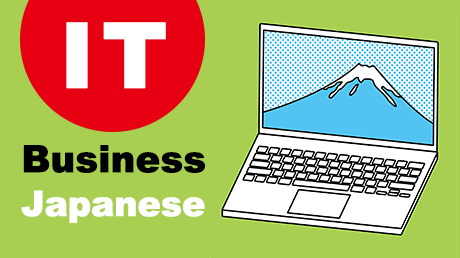 Learn how to teach business Japanese. 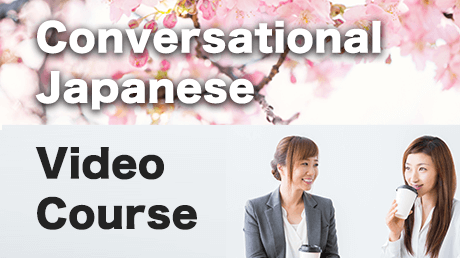 Acquire the skills of a Japanese language teacher. Japanese learners who want to become Japanese language teachers. 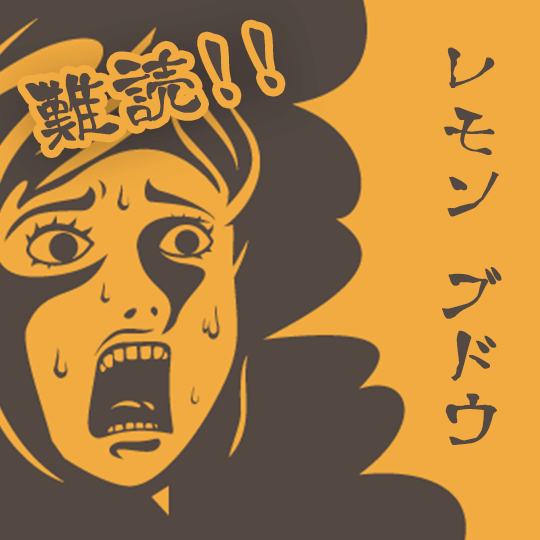 Non-Japanese learners who want to become Japanese language teachers. (Can understand JLPT N1 level Japanese). Learners who want to become business Japanese language teachers. Learners who want to acquire Japanese language teaching qualifications. Learners who want to take the Japanese Language Teaching Competency Test. 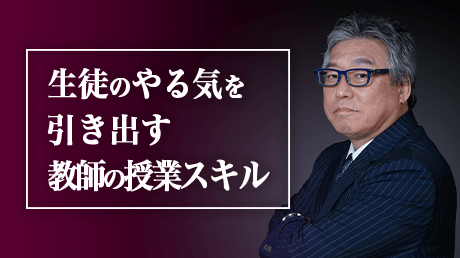 Personnel in charge of Japanese education for overseas expansion of Japanese companies. 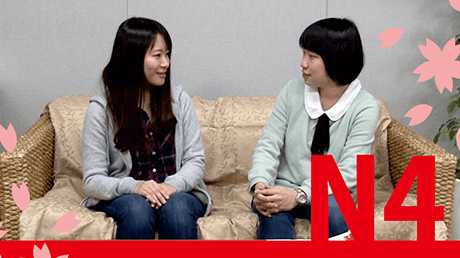 Personnel in charge of teaching Japanese to foreigners working in Japan. 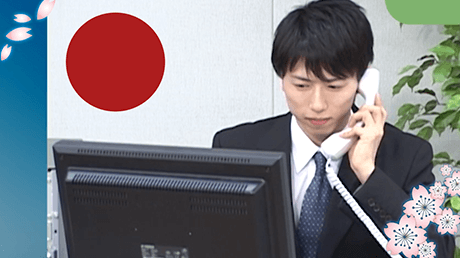 If you want to find a job related to Japanese language abroad. 26h 9m video lectures included in this course.